Epcot is an amazing Disney Park in Walt Disney World thanks to its perfect combination of technology and culture in its two separate areas. Future World in the front of Epcot celebrates the blending of nature and technology and World Showcase in the rear brings countries from around the world to life. Since guests spend so much time in Epcot enjoying its attractions, entertainment, shopping, and more, it is no wonder that they obviously get hungry and are in need of meals to keep them going. Thankfully, Epcot is home to some of the most amazing table service restaurants that bring different cuisine and flavors from around the globe to life in beautiful and creative environments. Since many of the table service restaurants in Epcot are very popular with guests, it is smart to book reservations for any meal, and at least one of these locations should be enjoyed on every visit. Here are the table service restaurants of Epcot in Walt Disney World. The Seas with Nemo and Friends Pavilion in Future World allows guests to dive into the oceans and learn all about the creatures and environments there through exhibits, attractions, and a wonderful table service restaurant. 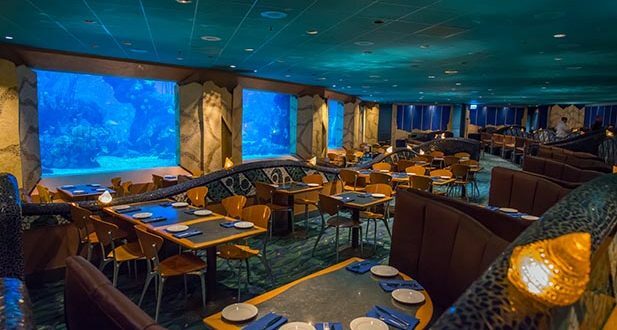 The Coral Reef Restaurant is open daily for lunch and dinner and serves up seasonal cuisine in a dining room where all of the tables have an amazing view of a massive floor to ceiling glass window leading into an aquarium where over four thousand creatures are exploring. Some popular menu options at the location include Crispy Rhode Island Calamari, Lobster Bisque, Seared Mahi Mahi, Shrimp and Grits, and 10-oz Grilled Top Sirloin Steak. Also found in Future World is The Land Pavilion where attractions and dining celebrate the beauty and diversity of the land. The Garden Grill Restaurant is located in the pavilion and is open daily for breakfast, lunch, and dinner. 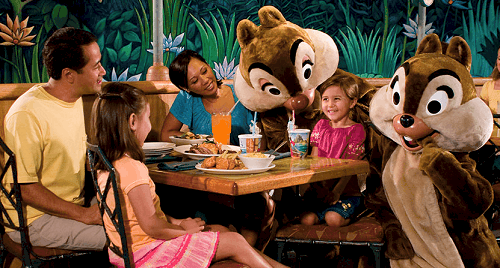 The location allows guests to meet Chip, Dale, Pluto, and Farmer Mickey while enjoying fresh family-style options that are often grown right there in the pavilion’s greenhouses. The restaurant also is unique in that it slowly rotates offering guests glimpses into the Living with the Land attraction below. Some menu options at the Garden Grill Restaurant include Mickey Waffles, Fluffy Scrambled Eggs, All-Natural Sliced Turkey Breast, Buttermilk Mashed Potatoes, Slow-Braised Pot Roast, and Macaroni & Cheese. 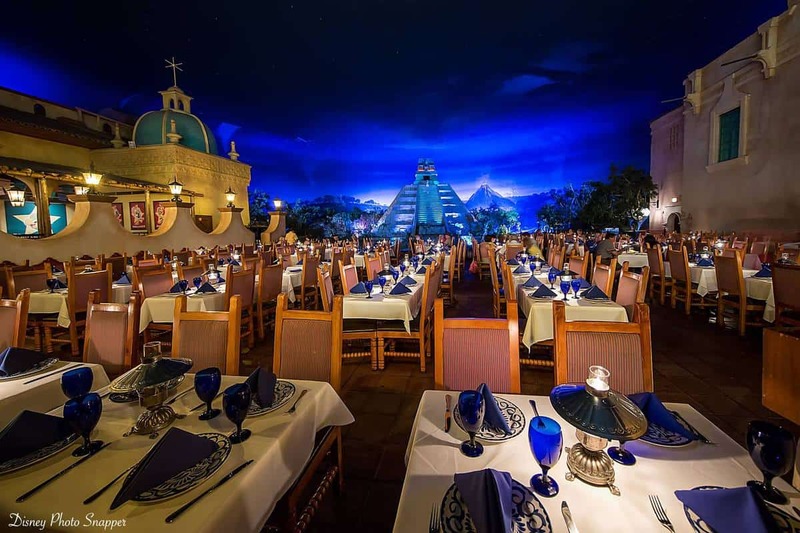 The Mexico Pavilion in Epcot’s World Showcase is home to a massive ancient pyramid in which there is a nighttime market, attraction, and delicious table service eatery. The San Angel Inn Restaurante is situated on a beautiful river with a pyramid and smoking volcano in the distance and boats gently floating by. Open for lunch and dinner each day, the location serves up authentic Mexican cuisine including popular menu choices such as Tostadas de Pollo, Guacamole, Chile Relleno, Carne Asada Tampiquena, Tacos de Costilla de Carne, and Camarones al Ajillo. Also found in the Mexico Pavilion is another full service restaurant that is situated on the shores of the beautiful World Showcase Lagoon. La Hacienda de San Angel also serves up authentic Mexican cuisine in a charming and airy location that offers floor to ceiling windows with water views. Guests can dine at the location for lunch and dinner and those who time their dinners correctly can even enjoy amazing views of Illuminations: Reflections of Earth. 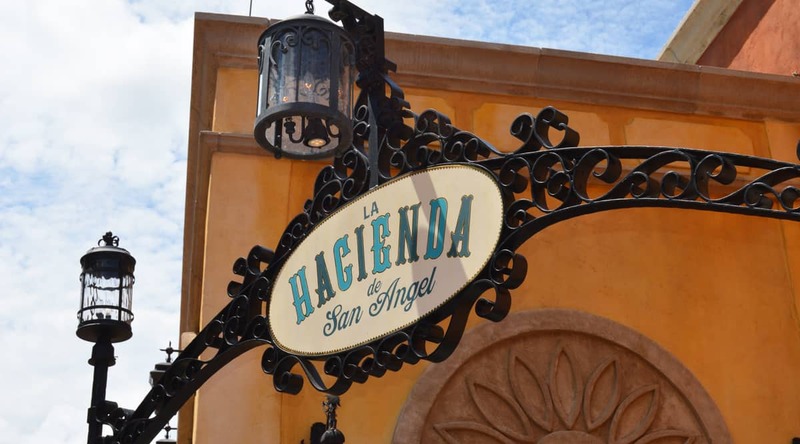 Some wonderful menu options at La Hacienda de San Angel include Queso Fundido, Pork Empanadas, Pollo al Pastor, Pan-Seared Snapper, Costillas en Salsa de Chile, Del Mar, and New York Strip. Continuing around World Showcase, guests next encounter the Norway Pavilion where the charm and culture of the country is brought to life through attractions, shopping, and a very popular full service dining location. 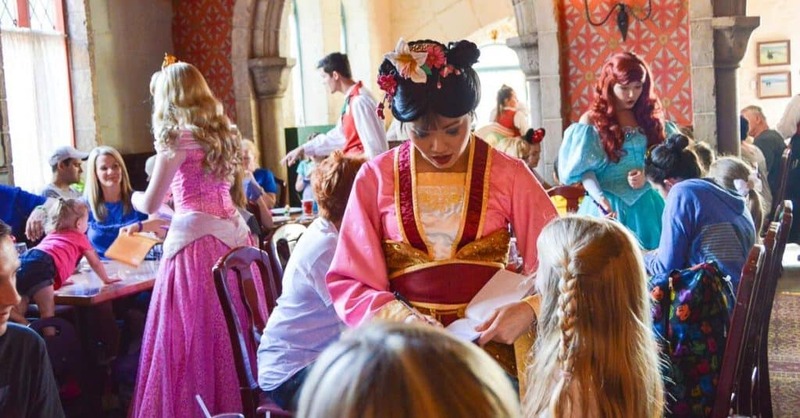 Akershus Royal Banquet Hall invites guests to dine like royalty as they enjoy a feast with the Disney Princesses. While enjoying the meet and greets and regal setting , guests can dine on popular American options for breakfast such as Scrambled Eggs and Bacon and traditional Norwegian options for lunch and dinner including Tradisjonell Kjottkake, Raspeballer, Laks, and Kyllingbryst. The China Pavilion features amazing architecture and gardens that bring the beauty of the country to life in addition to a table service eatery near the front main walkway. Nine Dragons Restaurant features a beautiful interior with intricate wooden carvings, accent glass, and large windows that overlook World Showcase and World Showcase Lagoon. Serving up contemporary Chinese cuisine for lunch and dinner, guests are sure to love unique menu options such as Pork Belly Bao Buns, Pot Stickers, Chicken Dumpling Consomme, Canton Pepper Beef, Typhoon Shelter Shrimp, Nine Dragons Fried Rice, and Kung Pao Chicken. 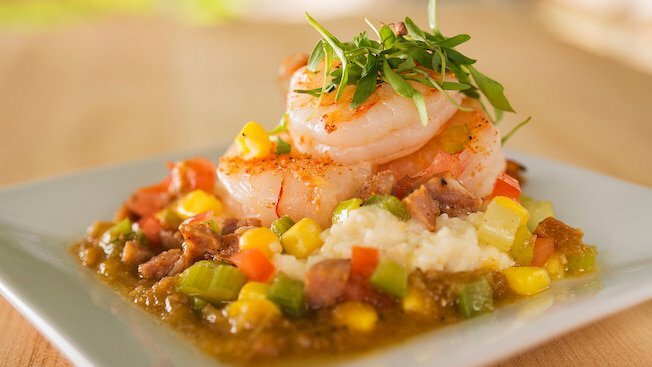 One of the most popular table service dining experiences in Epcot is beloved by guests for both its delicious cuisine as well as its unique setting and entertainment. 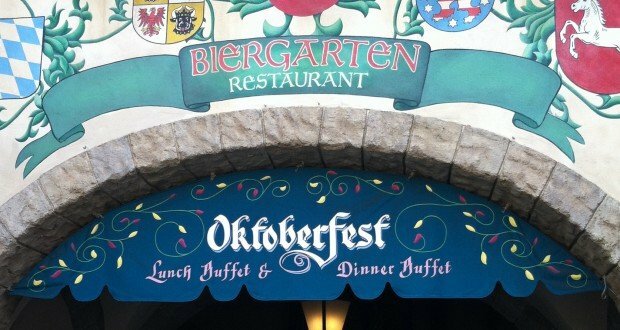 The Biergarten Restaurant in the Germany Pavilion seats guests family style at large picnic tables that overlook a central stage where an oompah band entertains and special performances take place. Guests who dine at the location for lunch and dinner can enjoy authentic German cuisine from the buffet including popular options such as the Roasted Salmon, Frikadellen, Schnitzel, Sauerkraut, Braised Red Cabbage, and Rotisserie Chicken. A favorite pavilion of many guests is the Italy Pavilion where architecture and artwork magically transport them to the charming streets of Venice. Those looking to enjoy traditional Italian cuisine in a cozy and inviting setting can head to the table service Tutto Italia Ristorante which features beautiful murals, dark wood accents, and windows overlooking the pavilion’s exterior courtyard. 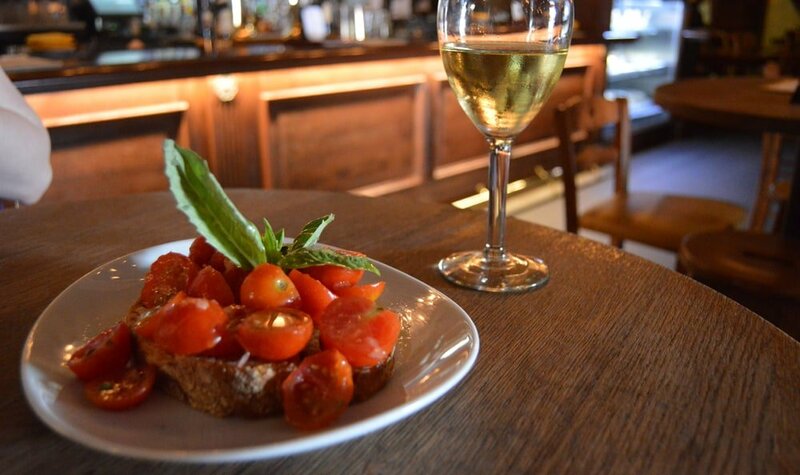 Some delicious lunch and dinner options available at Tutto Italia Ristorante include Prosciutto di Parma, Insalata Mista, Porchetta Panini, Ravioli Caprese, Lasagna alla Bolognese, Salmone, and Bistecca. 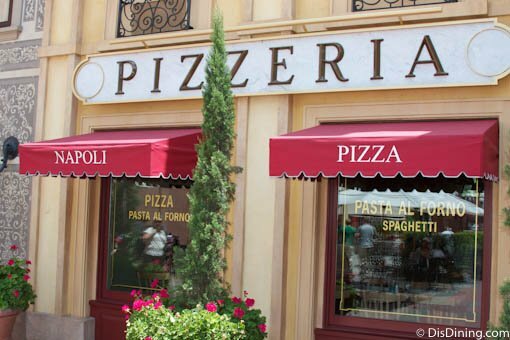 Also found in the Italy Pavilion is a second table service restaurant that also serves up authentic Italian cuisine, but with a focus more on the flavors of the South. Via Napoli Ristorante e Pizzeria is located in the very rear of the pavilion and features bright frescos on the walls and a trio of wood-burning ovens that crank out absolutely delicious pizzas and other options. Open daily for lunch and dinner, guests absolutely love to indulge in menu options such as Arancini, Scampi, Minestrone, Fettucine “Via Napoi” Branzino, Petto di Pollo, Pepperoni Pizza, Carciofi Pizza, Quattro Formaggi Pizza, and Capricciosa Pizza. One of the most popular pavilions in Epcot’s World Showcase is the Japan Pavilion thanks to its unique combination of charming gardens, architecture, shopping, and more. The second floor of the pavilion’s main building features two table service restaurants including the popular Teppan Edo. 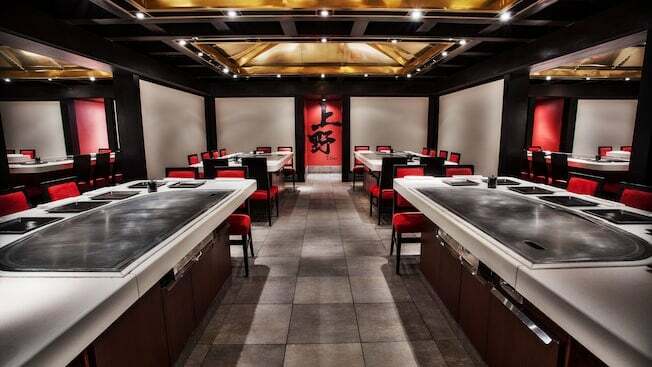 The unique location has guests sit at tables with grills right in front of them and they can enjoy watching chefs partake in Teppan-yaki-style cooking. Lunch and dinner at Teppan Edo are always busy and guests can choose from options such as Assorted Tempura, Miso Soup, Sushi Sampler, Filet Mignon, Salmon, Hotate, Tori, and Yasai. Found right next to Teppan Edo is another table service dining location that serves up authentic Japanese cuisine with a contemporary décor. Tokyo Dining features modern and minimalistic décor that allows the cuisine to shine and guests can also enjoy beautiful views of World Showcase Lagoon out picturesque windows. 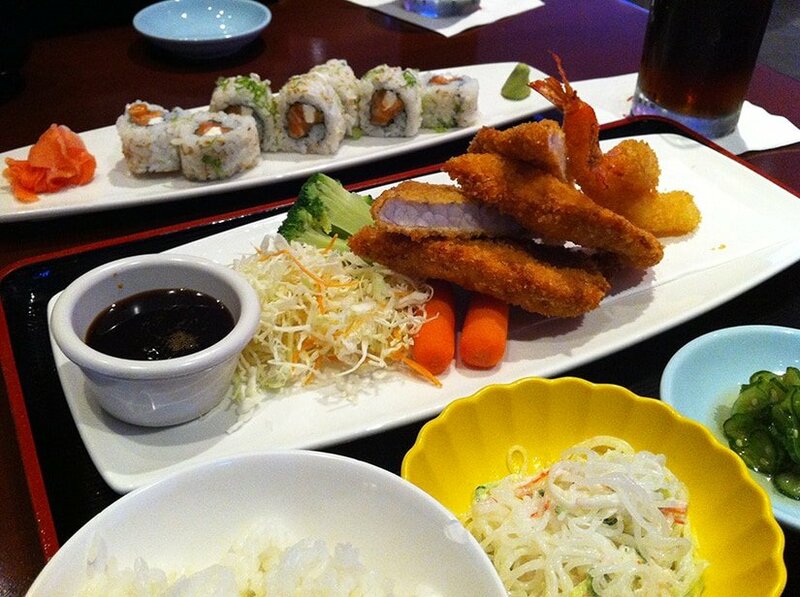 Lunch and dinner at Tokyo Dining are always busy, and guests absolutely love dining on options such as Cassava Flour and Panko-Crusted Shrimp, Fresh Sashimi Sampler, Volcano Roll, Dragon Monster Roll, Grilled Miso-Yaki Salmon, Filet Mignon, and Lobster Tempura. The shore of World Showcase Lagoon is also home to another amazing table service restaurant in Epcot’s Morocco Pavilion. 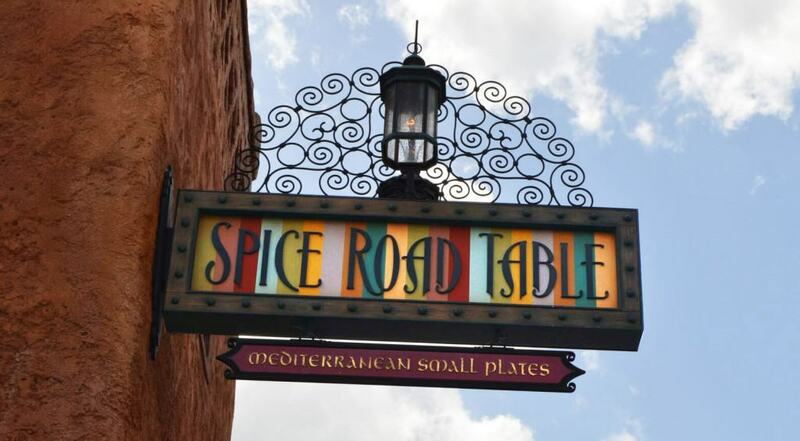 Spice Road Table serves up Mediterranean flavors and cuisine in an environment filled with small details, intricately carved chairs, and beautiful views of World Showcase Lagoon and Illuminations: Reflections of Earth. Specializing in small bites and entrees, Spice Road Table serves up amazing lunch and dinner options including Fried Calamari, Hummus Fries, Brie Fondue, Moroccan Lamb Sausage, Mix Grill Skewers, Yellowfin Tuna, and Three Lamb Sliders. A second table service dining location in the Morocco Pavilion invites guests to dine in opulence inside of a sultan’s palace. 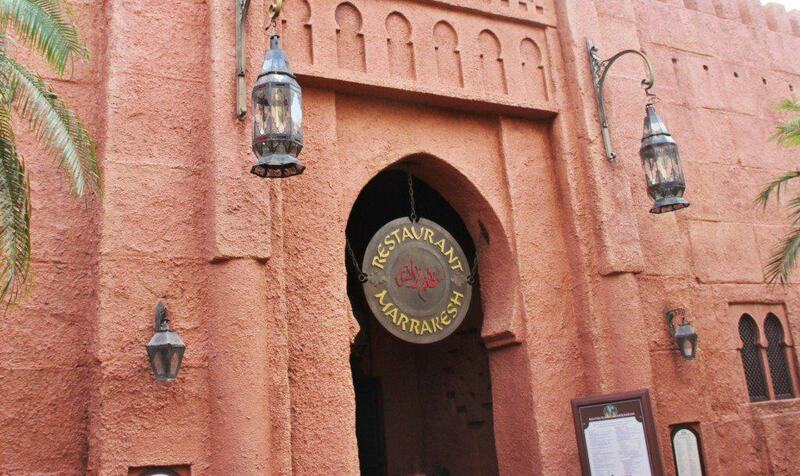 Restaurant Marrakesh is located in the very rear of the pavilion and serves up Moroccan flavors and specialties that guests can enjoy for lunch and dinner while being entertained by music and belly dancers. Popular menu options at Restaurant Marrakesh include Moroccan Merguez Sausage, Goat Cheese with Crispy Bread, Seafood Bastilla, Chicken Kebabs, Lemon Chicken Tagine, Roasted Lamb Shank, and Shrimp Chermoula Tagine. The charm and elegance of the streets of Paris are brought to life in World Showcase’s France Pavilion as guests wander quaint streets with the Eiffel Tower in the background. 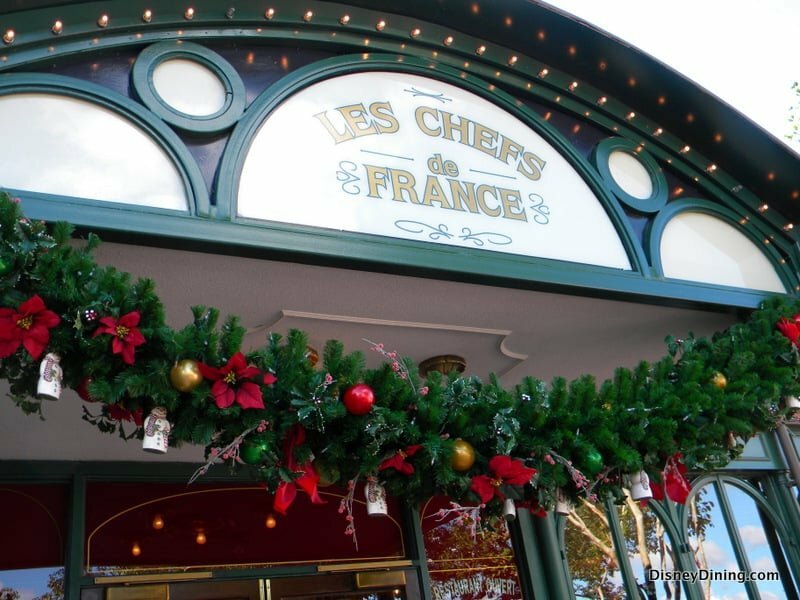 Chefs de France is a table service restaurant in the pavilion that is open each day for lunch and dinner and serves up French nouvelle cuisine. With windows that overlook fountains and walkways outside, guests will absolutely love indulging in French dishes including Lobster Bisque, Charcuterie, Salade Nicoise, Macaroni Baked, Grilled Tenderloin of Beef, Duck Breast with Cherries, and Cod Fish. Also found in the France Pavilion is a second table service restaurant that is considered to be a signature dining location and is only open for dinner each day. 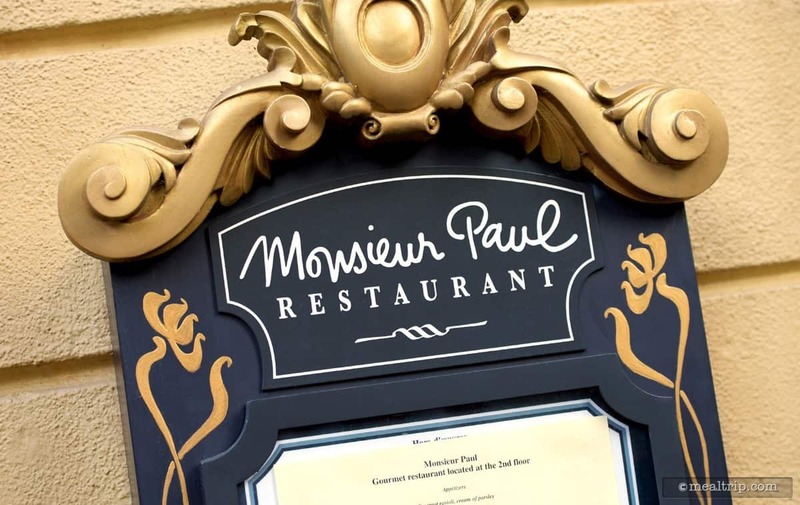 Monsieur Paul is located on the second floor above Chefs de France and specializes in classic French cuisine dreamed up by Chef Paul Bocuse. Guests are sure to love every moment of this special dining experience including indulging in options such as Escargot with Garlic Butte, Suckling Pig Terrine, Oven-Baked Rolled Salmon, Poached Chicken Breast, Roasted Berkshire Pork Chop, and Grilled Beef Tenderloin. 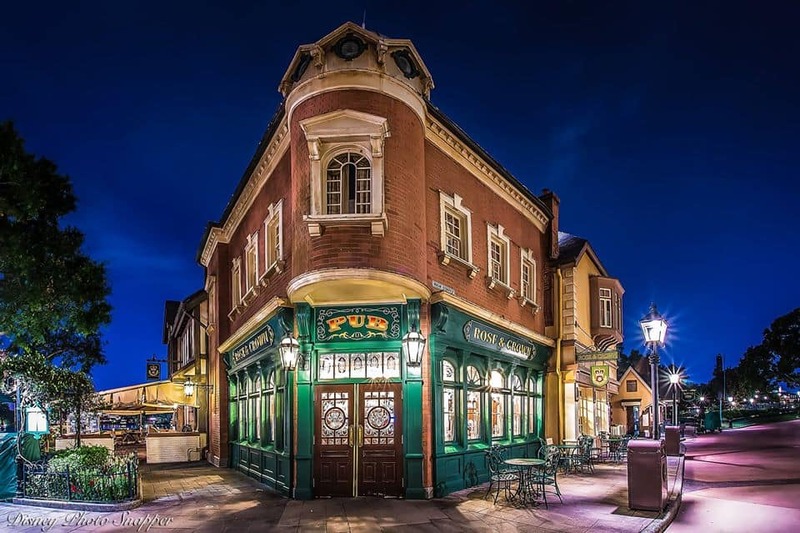 The UK Pavilion in World Showcase is extremely popular with guests thanks to its shopping locations, live entertainment, and busy pub and table service restaurant that serves up classics. The Rose & Crown Dining Room is always a lively environment that serves up classic British pub options paired perfectly with pints. Guests can dine inside in a charming setting or outside on a patio with beautiful views of World Showcase Lagoon. No matter where a guest is seated, they are sure to love lunch and dinner options including Scotch Egg, Bangers and Mash, Welsh Pub Burger, Pan-Roasted Scottish Salmon, Guinness-Braised Beef Short Ribs, Savory Vegetable Crumble, and Chicken Masala Curry. The final World Showcase Pavilion in Epcot is Canada which combines elegant European-influenced architecture with rustic elements. 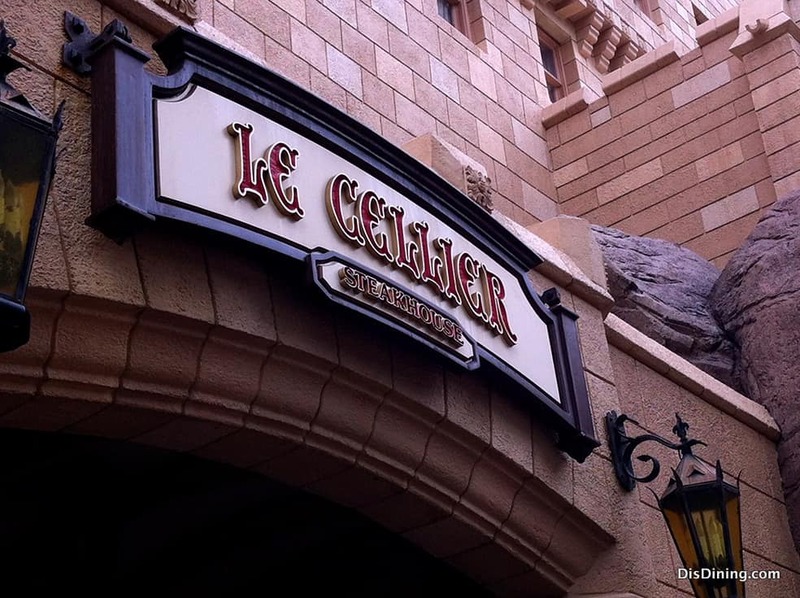 Situated in the pavilion is Le Cellier Steakhouse, a wonderful table service location that is designed to feel like a cozy wine cellar. This signature dining location is open eh day for lunch and dinner and serves up traditional steakhouse classics with Canadian flavors. Some of the most popular menu options include the Canadian Cheddar Cheese Soup, Baked Mt. Tam Waldorf Salad, Le Cellier Filet Mignon, Cornbread-Stuffed Half Chicken, Skuna Bay Canadian Salmon, Porterhouse for Two, and Black Angus Rib-Eye.